Good afternoon. The chairman is occupied, so you're stuck with me for a while. Pursuant to Standing Order 108(2) and the motion adopted by the committee on October 4, 2016, the committee will commence its study on immigration consultants. We have a number of people present today. From the Department of Citizenship and Immigration, we have Mr. Orr, whom you all know; Michael MacDonald, director general, immigration program guidance; David Cashaback, director general, immigration branch; and Michael Brandt, director, grants and contributions financial management. Our list is a bit out of order. The third speaker will be Paul Aterman, deputy chairperson of the immigration appeal division of the Immigration and Refugee Board of Canada, and the second speaker is Jennifer Lutfallah, director general, enforcement and intelligence programs, the Canada Border Services Agency. Ms. Kwan has a notice of motion that she wishes to present before we commence. Thank you very much, Mr. Chair. I'll take just a few minutes of the committee's time. That, pursuant to Standing Order 108(2), that the Committee immediately undertake a study of land arrivals at Canada's southern border, including: the impact of current realities at the border on safety and security of both refugees and Canadian society; the effective management of refugee claims at the border, within the context of Canada's international human rights obligations; and how to ensure an efficient and effective refugee determination process. That this study should be comprised of no less than five meetings; that IRCC department officials be in attendance for at least one of the meetings and that CBSA officials be in attendance for at least one of the meetings; that the Committee report its findings to the House; and that Pursuant to Standing Order 109, the government table a comprehensive response thereto. We're not debating this, Ms. Rempel. This is just a notice of motion. We're not voting on it and we're not discussing it today. Mr. Orr, you could proceed. Mr. Chair, I'd like to begin by noting that over the last number of years, the department has made significant strides in laying the groundwork for a modernized client experience that simplifies the application process while maintaining the integrity of our immigration system. Our hope is that these continuing improvements will make it easier for people to access our services without the use of a consultant. That said, we recognize that many prospective immigrants to Canada seek the services of immigration representatives or consultants, both in Canada and overseas, for help in navigating the immigration process. Similarly, prospective citizens may enlist the help of citizenship consultants before they seek the final step of applying to obtain their Canadian citizenship. In June of 2011 the House of Commons passed legislation designed to better protect prospective immigrants from unscrupulous or fraudulent practices by such representatives. At the heart of that legislation were changes to the Immigration and Refugee Protection Act requiring that a paid immigration representative used at any stage of an immigration application or proceeding be a lawyer or a paralegal who is a member in good standing of a Canadian provincial or territorial law society. In addition, an immigration representative can be a notary who is a member in good standing of the Chambre des notaires du Québec, or an immigration consultant who is a member in good standing of the Immigration Consultants of Canada Regulatory Council, the ICCRC. There are also provisions in the law for the government to enter into agreements with certain organizations who provide valuable services to immigrants and applicants for citizenship. In effect, the 2011 legislation made it illegal for anyone other than those I've just listed to operate as a paid representative at any stage of an immigration or citizenship application or proceeding. At the same time as these amendments came into force, the government of the day also designated the Immigration Consultants of Canada Regulatory Council, or ICCRC, as the regulator of immigration consultants. In June of 2015, similar amendments were made to the Citizenship Act in regard to the laws governing citizenship consultants, and the minister at the time designated the ICCRC as the regulator for such consultants. The ICCRC is a self-governing, not-for-profit organization that has an arm's-length relationship with Immigration, Refugees and Citizenship Canada. There are currently more than 3,700 active members of the ICCRC. The organization manages members' entry-to-practice standards, including training, testing, and accreditation, as well as professional requirements such as education obligations. The ICCRC is also responsible for ensuring that an effective complaints and discipline process for members is enforced. Immigration, Refugees and Citizenship Canada is always prepared to take aggressive action against unscrupulous and fraudulent activities by immigration and citizenship consultants when we become aware of or suspect improper activities. These damaging activities can include acting as a so-called ghost consultant; that is, providing, or even offering to provide, advice or representation for a fee at any stage of an immigration application or proceeding without being a member in good standing of the ICCRC. When Government of Canada officials believe that an immigration or citizenship consultant has contravened any professional obligations, they have clear authority to share this information with the ICCRC, in a manner consistent with the Privacy Act. Examples of information that can be shared are allegations or evidence of false promises made to an applicant, providing false information about Canada's immigration processes, failing to provide services agreed to between the representative and client, or counselling to obtain or submit false evidence. The ICCRC has a mandate to govern such consultants by employing tools such as their code of professional ethics and code of business conduct and ethics. It also has the authority to investigate allegations of unethical or unprofessional behaviour on the part of authorized consultants. The RCMP and the CBSA are responsible for investigating both authorized consultants who engage in fraud and ghost consultants who operate outside of the law governing immigration representatives. The ICCRC and the Canadian Association of Professional Immigration Consultants have approached our department and the CBSA about making changes to governance frameworks for the regulator of citizenship and immigration consultants. According to documents we've seen, they're interested in having the council operate similarly to law societies, with increased powers of investigation and the ability to discipline members. To give the council these authorities would require significant legislative changes and could also impact the mandate of our security partners who are currently responsible for investigating ghost consultants and authorized consultants who engage in fraud. Immigration, Refugees and Citizenship Canada remains committed to continuing to meet regularly with representatives of the ICCRC to discuss governance issues and the council's overall effectiveness. As the committee is aware, the administration and enforcement of the Immigration, Refugee and Protection Act (IRPA) falls under the responsibility of several government departments and agencies. While the IRCC has the lion's share of the policy responsibility under IRPA, the CBSA's role is largely one of enforcement and intelligence and criminal investigation. Since 2006, the CBSA and the RCMP have worked to develop a complementary approach in relation to immigration penal offences. The RCMP is responsible for immigration offences dealing with organized crime, human trafficking, and national security. The CBSA has the lead responsibility for the remaining immigration offences. These include offences related to fraudulent documents, misrepresentation, counselling misrepresentation, and the general offence section under IRPA. The general offence section under IRPA applies to individuals who do not comply with various conditions or obligations under the act. That includes examples such as persons who hire foreign nationals without authorization, previously deported individuals who return to Canada without authorization, or persons who fail to report to CBSA officers upon entry into our country. Depending on the nature of the consultants' activities, various criminal offences and sanctions exist under IRPA and the Criminal Code. These would generally be investigated by the CBSA and/or the RCMP. By contrast, review of an activity that is unethical or unprofessional but does not constitute an offence falls under the responsibility of the Immigration Consultants of Canada Regulatory Council. With respect to IRPA offences most frequently related to consultants, the act provides for criminal sanctions to be pursued in relation to the following: being an unauthorized consultant, counselling misrepresentation, misrepresentation, and counselling to commit an offence. For example, where it can be proven in court that a consultant has counselled a client to provide false information with the objective of increasing the chances of their immigration application being approved, that consultant could be charged with counselling misrepresentation. The counselling of misrepresentation could be in relation to any immigration application, be it a temporary resident permit application, a permanent resident application, a spousal sponsorship, or a refugee claim. This charge could apply to consultants whether or not they are authorized to act as a representative pursuant to the regulations. The IRPA offence of being an unauthorized consultant applies when a consultant is not registered with the ICCRC and provides advice to a client for a fee. The penalty upon conviction by way of indictment ranges from a fine of not more than $100,000 to imprisonment for a term of not more than two years, or both. On summary conviction, the penalty ranges from a fine of not more than $20,000 to imprisonment for a term of not more than six months, or both. Prior to the passage of Bill C-35 in March 2011, regulations respecting authorized representatives applied only after an immigration application was submitted. were operating in the pre-application phase but could not be pursued through the courts. Now, the legislated rules respecting authorized representatives apply before and after an immigration application has been submitted. Unauthorized representatives found to be knowingly representing or providing advice, directly or indirectly, to a person prior to the application phase, during, and/or afterward can be charged under subsection 91(9) of IRPA, as well as persons “offering to” represent or provide such advice. The legislative amendments brought about by Bill C-35 now limit those providing, or offering to provide, consulting services for a fee in the pre-application phase to persons who are lawyers, notaries in Quebec, and paralegals and consultants who are in good standing by a governing body. These provisions provide an additional tool for the CBSA and its partners to use in pursuing enforcement action against those individuals who would misrepresent themselves. Obtaining evidence of consultant fraud can be challenging. Often the applicants are hesitant to report the counselling offences to the CBSA, as they were either a party themselves to the misrepresentation or convinced that even though the representative was not authorized, the individual could assist in ensuring that their client received a positive outcome on their application. As a result, most offences are brought to the CBSA's attention only after the immigration application has been rejected. Even then, applicants in Canada may not come forward out of fear that they will be removed from our country. Perhaps you could wind up, please. You're running out of time, I'm afraid. One important point I would like to get out is that Bill C-35 increased the statute of limitations to 10 years for the offences of counselling misrepresentation and misrepresentation, and five years for the offence of being an unauthorized consultant. Investigators now have sufficient time to properly and fully investigate IRPA offences and refer the file to the Public Prosecution Service of Canada. I will end it there. Yes. We do have your written notes. Thank you. Mr. Aterman from the Immigration and Refugee Board, please go ahead. The Immigration and Refugee Board reports to Parliament through the Minister of Immigration, Refugees and Citizenship. Through the work of its four divisions—the refugee protection division, the refugee appeal division, the immigration division, and the immigration appeal division—the board renders about 40,000 quasi-judicial decisions per year. The people who are the subject of those decisions are among the most vulnerable consumers of legal services in Canada. Some of them may have been in Canada only a few weeks or months. Many are unfamiliar with our legal system. Many do not speak English or French. Access to justice—that is, being able to retain competent counsel at an affordable cost—is a concern for courts and tribunals across this country, and it's a concern that applies equally to the IRB. We do design our processes in such a way that self-represented people can navigate them, but the fact is that many of the issues we deal with are complex and technical, because the law itself is complex and technical. About one in five cases before the board involves someone who is not represented by counsel. We would much rather deal with people who have competent counsel than deal with people who are unrepresented. We are able to do our job much more efficiently in those circumstances. To give you a sense of the numbers, of the 40,000 cases in 2016, about 8,000, or around 20%, involved people who were not represented. Around 31,500, or 80%, had counsel. Of those 31,500, about 12% were represented by immigration consultants. Last year we saw around 3,800 immigration consultants. Integrity and competence are crucial to consultants' capacity to make a positive contribution to the immigration and protection of refugees system. From the perspective of the IRB, the provisions on consultants adopted in 2004 marked an important step forward for access to justice, as they allowed for the setting of minimal standards, and brought in complaint and discipline mechanisms that did not exist prior to that. However, there is always room for improvement. The changes made in 2011 strengthened the system. Currently the representatives targeted by the regulation must prove to the IRB that they are members in good standing of their professional association before they can appear before the board. We check to see if they are suspended or subject to disciplinary procedures. I think it is important for the committee to be aware of the fact that the work done by immigration consultants before the IRB is quite different from the work done by consultants when they appear or represent clients before IRCC. With IRCC, consultants are guiding their clients through an application process. In contrast, at the board, consultants represent their clients in hearings. The IRB is the main forum in which consultants can litigate, and litigating requires very particular skills. Counsel in a hearing needs to know the difference between evidence and argument. Counsel needs to know what the right legal test is, what the best litigation strategy is, how to examine or cross-examine a witness. They have to be able to think on their feet. They have to be persuasive. The board supports the regulators' efforts to improve standards of practice, and we also support the regulators' efforts to investigate and act on alleged breaches of professional conduct. To that end, in July 2015 we revised our disclosure policy to take advantage of the legislative changes that now make it easier to disclose this kind of information to regulators. The board now has a transparent process for reporting issues of concern to regulators. The policy applies not just to consultants but to lawyers as well. However, we refer cases to a regulator only when we think there has been a sufficiently serious breach of a code of conduct or ethics. Since 2015, we've made a relatively small number of referrals, 10 to the immigration consultant regulator and two involving members of the bar. However, that should not be taken as an indication that there is not room for improvement—far from it. In the view of the board, there is considerable scope for the quality of litigation conducted by immigration consultants to improve. This is why we also support education and prevention whether by the regulator itself or through our own efforts. For example, the board holds sessions for immigration consultants that are aimed at improving their standard of practice, and if we receive invitations from professional organizations of immigration consultants to offer training, we gladly accept those invitations. We hope to build on the relationship we have with the regulator and with groups such as the Canadian Association of Professional Immigration Consultants, because we're aiming to improve the standard of litigation practice conducted by immigration consultants. Ms. Zahid, go ahead for seven minutes. Thanks to all the witnesses. Thanks for your views on this. Is this still the case, and has anything been done to address this since the concern was raised to the then minister about three years ago? I'm not aware of the memo you're referring to. However, on a general level, we find the concern is still the same. Individuals are very hesitant to come forward and provide evidence to us. Generally when they do come forward, it's when their immigration application has failed. We have tried to discuss this with people when we look for witnesses with respect to a criminal investigation. They are generally very hesitant. They are afraid. They view any questioning by CBSA as a possibility of their being deported from the country and they generally refuse to provide any evidence, so it remains a concern. Mr. Orr, if this is still a concern, is there anything we can do, from IRCC's perspective, to provide more awareness to the clients who are using the consultants? This is something we're very concerned with, and we try to provide significant information to clients through the websites and other means to ensure that people are aware of the importance of choosing a representative who is authorized to act on their behalf. In addition to this, we also do a number of fraud awareness campaigns. Those are undertaken on a regular basis. We try to alert people to the issue of fraud and to raise awareness in that manner. Former immigration minister John McCallum told the CBC in April 2016 that he had ordered a three-part investigation into the practice of immigration consultants charging Syrian refugees to process applications and asking them to pay resettlement costs that should be paid by private sponsors. Could you update us on the outcome or the status of that investigation? With regard to that activity, the investigation is ongoing right now, and we are putting appropriate resources into it. The only update I have to give is that it's ongoing and very active. There still are no findings or anything on that. Correct. It's still ongoing and there is no finding at this stage. When do you think we would have some answer to it? When you get into investigations of all natures, it's very difficult to determine where and how long the investigation will be because you don't know what you will uncover as you go through the actual process. My next question is also for the IRCC. We heard some disturbing reports of Syrian refugees falling prey to resettlement scams on social media. Some registered immigration consultants have advertised their services to play matchmaker between potential refugees and private sponsorship groups. In November 2015, an article in the Toronto Star said that the IRCC would not comment on the legality of such matchmaker services, but I would like to try again. Is this legal, and if so, does there need to be more regulation and monitoring there? If there are going to be things that are not within the purview of what a consultant or a lawyer should be doing, there is certainly a very real concern. Yes, we would take that very seriously indeed. I'm not familiar with that particular aspect, although we are aware of certain abuses within the refugee sponsorship process, and we have been very actively following up on those. My next question is for the CBSA. The IRCC has been set up to regulate and monitor registered immigration consultants. However, consultants who don't register are outside of its purview, and all it can effectively do is forward complaints to the CBSA for investigation. Since this committee last studied this issue back in 1995, major reforms have been made by the government, but we are still hearing about the same issue of ghost consultants—you also mentioned them in your comments—and exploited immigrants. Does the CBSA have the resources it needs to enforce the rules regarding immigration consultants? What does the CBSA do proactively on enforcement besides just responding to the complaints? With respect to ghost consultants, yes, that remains an area where we are conducting criminal investigations. As you can imagine, within the CBSA we have a finite level of resources. We have just over 200 criminal investigators across Canada who are responsible for investigating an array of crimes under IRPA, as well as under the Customs Act. As a result, we use a tiered process with respect to issues that involve consultants. Generally, we go after individuals, or investigate individuals, who are the organizers of, let's say, mass misrepresentation or mass fraud, rather than the one-offs. In terms of how we're approaching this, we are looking at where the greatest deterrent could occur. We are looking at the big organizers, rather than the individual who may have provided information for profit in one case, and so forth. I do believe that we are using the resources that we have to the best of our ability, based on a risk profile. Do you think that you have reasonable resources to do that? At this point, I do. Thank you to Mr. Orr and the entire team for coming in and advising us on this important issue. It just so happens that overnight somebody sent me a very touching video from B.C. regarding a crooked consultant. It comes from somebody named Sandeep Powar. He's talking about one of the guys who has dealt with a crooked consultant—I think that's probably the right word—and who made a contract for $10,000 cash. He was told the immigration would get him a job and as soon as he got the job he would process it. The $10,000 was given—he has all the receipts—and he videotaped the consultant as well. Then the consultant told him that he failed his medical in India and he needed to go back to India to get his medical done. It's all in the video. I wish I could play it, but you can't see it.... While he was in India, he was told that he needed to pay another $3,000. He sold his house or something and sent another $3,000. As soon as he arrived back, he was told the consultant ran out of money, to bring some more money. For poor people, a lot of poor people, we hear this every single day. He threatened to go to the police and the immigration department and was told, “If you do something like that, you know what we're going to do with you.” It is a very touching video. He's talking about what to do with his life. He sold everything. He has nothing left. By the way, he is giving us some east-west immigration consultant in B.C., in Abbotsford somewhere. The guy's name, the number, the whole thing is in the video. What do you do with this sort of situation? How can I advise this individual? What can I say to him? What can be done for both sides? What would we do for this crooked consultant? What can I say to the guy who is asking me for help? What help can I give this individual? Who can I send this video to, please? Can I send it to you, to somebody here? Yes, obviously there are some situations that are heartbreaking, as you hear how people have been misled by consultants and so on. Under the Immigration Consultants of Canada Regulatory Council, that organization, there is a complaints process and that may be the best thing. If the person is a registered consultant, that would be the starting point for this, to carry this through. One of the big concerns we have in India is the number of people who are ghost consultants. In other words, they're not registered there and are trying to work. Within Canada, there are certain parameters we can manage with those consultants who operate within Canada. When it's overseas, it's far more complicated for us to do that, because to work with law enforcement agents, we must work with the local law enforcement agencies. Others may be able to go into this process more specifically, with specific advice, but I would add that in India one of the things we are doing specifically, because we realize this is such an issue there, is hiring someone as just a public affairs officer, to try to get the message out as much as we can to ensure that potential applicants are dealing with registered consultants, so that they are less likely to be misled. Perhaps others would like to go into the complaints process a bit more. Very quickly, I'll add to what Mr. Orr has said. That example you've given, sir, is a perfect example, I think, of the position that innocent people are put in, certainly by ghost consultants, or by people who we would call the “crooked consultants”. You're right. People have a choice to make. Do they disclose this to the RCMP? If they think there is fraud going on or they are being coerced or what have you, that is an option, as are your local police. Mr. Orr was correct in saying that if this is a consultant who is registered, there is a complaints process there. Also, our department has the ability to take forward complaints to the regulatory body. If the consultant, or “crooked consultant”, as you call it, is a member of a bar and is a lawyer, you can actually disclose to the bar. There are avenues to take, but there are not a lot and I think the individual is put in a very difficult situation. By the way, this case is in Abbotsford, it seems from the video, so it's not a ghost consultant. In this case, it's a consultant in British Columbia. I hear this all the time. These consultants have subconsultants in other countries, in which they will have five or 10 cases, and every six months they will go back and deal with them. What sort of budget does your department have? Who can deal with all these complaints? Do you have enough of a budget on your side to investigate all these calls? First and foremost, I would say that we take these very seriously, but it's not IRCC that's going to be investigating complaints of this sort, so it would be through the regulatory agency or through CBSA. It's CBSA's mandate to actually do the investigation of this sort of abuse. I'm just going to ask you for clarification. Are the consultants you're referring to located overseas or are they in Canada? Okay. That would fall under the mandate of the CBSA. I would suggest that you or this individual lodge a complaint. As I explained to the previous member, we do look at a risk-based profile, and we do have a tiered system. Thank you. We have to move on. Ms. Kwan, go ahead, please. Thank you to the witnesses who have come before us today. Mr. Aterman, you mentioned there are 40,000 applications each year, and that about 31,500 have some sort of representation but that 8,000 are without. Do you have any sense of how many of the folks who are represented are represented by legal aid lawyers? I can provide the committee with the breakdown with respect to lawyers as opposed to consultants. How many are legal aid lawyers is a much more difficult question. I can't answer that, because we don't have information about the means by which lawyers are retained. In other words, we don't know whether they have a private retainer. I can tell you anecdotally that in Ontario, for example, there's a developed legal aid program on the refugee side, which explains why there are relatively few consultants who appear on the refugee side of the program. On the immigration side of the program, the immigration division, the immigration appeal division, legal aid is not available and we have a higher rate of representation by consultants. I see. I'm curious about that, because I know there is extreme pressure with respect to legal aid representation. There are a lot of cuts to legal aid, so I think a lot of people are not getting representation. I'm just trying to get a picture, then, to see if we can shed some light on that. I think it is absolutely critical that people get legal representation at the IRB level. If you have any information that you can share with us, that would be very useful and helpful. We can slice the data by region and by division as well, and then that breaks it down to lawyers and consultants. We'd be happy to provide that information to the committee. My next question is for CBSA. It was mentioned that there are some 200 investigators. Do you have any sense of the breakdown into categories for these 200 investigators? It was mentioned that you would really only take on cases that are organized as opposed to those that are one-offs. Do you have any sense, for example, about the area of spousal sponsorship, and whether there are issues with respect to fraudulent or bad practices? Are there with the refugee category? Are there with the former category of live-in caregivers? Do you have any sense of how those 200 staff are broken up into categories? According to our program, the staff we have don't focus just on immigration-related issues. How many people are put into immigration-related issues then? Do you mean how many of our officers? I mean how many of those 200. They're not broken up like that. They focus on customs- and immigration-related issues. How many cases are under investigation at the moment then? As of the current date, there are over 2,000 cases, but those include immigration and customs. According to the statistics I received this morning, we have, I think, about 148 active investigations with respect to immigration consultants. You don't know, then, what categories those 148 fall under. No, but I'd like to point out that, at the end of the day, for these cases that we're undertaking, it generally takes two to five years to build up a case, take it through the court system, and obtain a verdict from the court. How often in the cases brought are charges laid? I don't believe I have that information on me right now, but I can get that. Perhaps you could get that and also give the historical trend, maybe since the last report was done, just to give a sense of where things are at. You could give that to the clerk, Ms. Lutfallah. Thank you. In terms of charges laid, it would be useful to have the information on the decisions, on the verdicts. Were they found to be guilty? What penalties were levied? That information would be useful as well. In terms of the actual decisions, I think at this point in time we have a success rate of about 95%. We do have a very good track record once they are taken on by the public prosecutor. Okay. It would be great to get the information on how many cases are brought forward. On the issue around the Syrian refugee situation, it is under investigation. I think Mr. MacDonald took that question on. Assuming, then, that there are some issues there, have you or the department made contact with all the people who were identified to be in question or allegedly engaged in bad practices or fraudulent practices? Have you identified the people who you're concerned about? We have identified a number of individuals who we would put in the realm of possibly having something done to them. That could grow at any one time, the more we investigate, and it could also shrink down. I guess the response to your question is that we have identified a number of people, but we have to go in with a very open mind, saying that this may change at any point in time. In terms of the number of people identified, can you give us a sense of what that ballpark number might be? Are we talking about 10 people, are we talking about 20, 30...? I don't know the number just off the top of my head. Could you provide that information to give the committee members a sense of what some of the issues out there might be? That would be helpful. Mr. MacDonald, you will get that for us? Yes. I was looking to see if I had it in here and might be able to help you sooner. When you get that, please give it to the clerk. Thank you. As we're going forward with this process, what action is the department undertaking to warn people of this situation so that they are aware and not prey to this kind of thing? This is a very good question, because it actually gets into what Mr. Orr was talking about with regard to fraud prevention and awareness. We have to move on, Mr. MacDonald. Thank you. Thanks so much for all the excellent presentations. This is an issue that concerns many people in my riding. I've had people come up to me and say that on a monthly basis their parents are paying some fee to an immigration consultant, and they're not quite sure why. When I ask them why they continue to do it, they say it's because they feel that they will be deported. I hear both of you with regard to fraud prevention and word getting out. Is it only done in English and French, or do you have it disseminated into the community in other languages? Overwhelmingly it is in English and French, but as I said, missions abroad will also try to engage in some activities to disseminate the message. I gave the example of India particularly, where we're making a very real effort to get the message out, hiring a full-time person to just deal with this. We use a variety of different methods to try to attack this, realizing that it's such an important message and we have to use multiple methods to try to reach our targets. Ms. Lutfallah, you had mentioned that you have a 95% success rate of the cases you're investigating. Once charged, are they posted somewhere? Is there a registry? Let's say I'm an immigrant who is looking to go through the process. If I want to find out who might be someone I might want to avoid, how would I find that out? Once we have a charge and a conviction, we provide it to the ICCRC so it can provide that information on its website and inform the population. That's an active, ongoing way that we do business with the ICCRC. Do you find it an effective way of letting people know, or does it need to be more broadly advertised? We believe it is an effective way to deal with this issue. I must admit that we have not looked at other ways of getting the word out. Mr. Aterman, what would be the top couple of kinds of cases that would come before the immigration appeal division? For the immigration appeal division...? About 60%, I think, of what we deal with are spousal sponsorship cases. Most of those involve marriages, but they can involve adoptions or the sponsorship of parents or grandparents. About 20% of the cases are removal order cases. Those are people, mostly permanent residents, who are being removed from Canada on grounds of criminality or misrepresentation. About 10% are cases that involve a loss of permanent resident status because persons allegedly have not met their requirements to remain in the country as permanent residents. In all those three types of cases—and I understand that you can only give me some sort of ballpark answer, unless you think you can get the data—what percentage do you think are before the immigration appeal division because there is some sort of implication around a crooked immigration consultant? Would there be an implication that they have misrepresented themselves, or would you say it would have absolutely nothing to do with that? I can give you an anecdotal response. The anecdotal response is that from time to time we do have cases, mostly on the removal order side, that involve people who got into trouble because they were represented by consultants who weren't doing their jobs properly. There's quite a high profile instance of that pending right now in B.C.. It involves someone who is, as I understand it, not a regulated consultant but who is offering services. Essentially, the gist of it is that people were fabricating their presence in Canada. As a result of that, those people have been declared inadmissible on grounds of misrepresentation. Some of those cases are proceeding before the board through the immigration division and the immigration appeal division. Those people are facing removal because it's alleged that they misrepresented themselves. One of the things we hear in the hearing room is, “I did it because my consultant told me to do it.” There is a group of cases of that nature that's pending. It's an issue that comes up from time to time before the immigration appeal division and the immigration division. I can't give you precise numbers. It's really only an anecdotal account. How does our system to regulate immigration consultants measure up to other systems that are comparable around the world, whether it's in the U.S., the U.K., or Australia? We seem to have three sections. There is the framework of the legislation. There is the body that actually regulates immigration consultants. There is the CBSA section. How do we compare? Do we do well? Are we seen on the stricter side? Are there areas we could strengthen? Just give me an idea about how we compare. I'm looking at my colleagues, but I don't think we have that international comparison on this particular issue. We do on many, but I don't think we do on this one. I'm sorry. That maybe leads to my last question. We're here because we already have a piece of legislation around immigration consultants. Obviously, there are areas we can improve. Can each of the sections make its key recommendation for improvement? Perhaps I can start off. I think in 2011, followed with the 2015 changes, there was a very significant move forward to create the organization that would regulate consultants. I think that was something that was very valuable for us, and it is proving its worth. I don't think we're where we need to be yet. I think there are issues with the organization that can be strengthened in terms of its own internal governance, in terms of some of its issues around finance, and thirdly, I think, in terms of sometimes the effectiveness of its own enforcement processes. This includes ensuring timely enforcement that is appropriately calibrated to the nature of the infraction, and ensuring that there's follow up in those areas. I think it's an organization that is, frankly, still finding its feet. It's still fairly early days and it has made real progress, but, yes, there are areas where it can be strengthened. In addition to Mr. Orr's comments, I think the two important areas we talked about already are about the awareness of people, so that when someone is working with an immigration consultant that individual knows their rights and knows where they could complain. I also think with the overall challenge of ghost consultants, certainly overseas but even in Canada, greater awareness on that and any efforts that address it in the overseas context are a positive. Mr. Aterman, you talked about how the board members would prefer to have counsel representing people who appear before the board, and I understand that, and judges do too, of course. I'd like you to tell us a little about the competency of people who appear before the board. Obviously, if someone complains about a lawyer, of a counsel that appears before the board, that complaint would go to whatever provincial law society there is, I assume. If that's the case, I assume that's the end of it. They'd deal with it. The board doesn't deal with it. No one else deals with it. Could you comment on that? Then there's the issue of the consultant, which is what we're here about today, although it could overlap into counsel. Someone complains about their competency, and it could be a board member who complains about the competency of someone before the board who is just not doing the job they should be doing in representing someone. The cases I mentioned where we've reported counsel to a regulator, whether it's the immigration consultant regulator or a law society, are what I would call the more egregious cases. They're the clearest of instances where we feel there's been a breach of professional standards or the code of ethics. That said, there's a large grey area. The quality of representation may not be so bad as to justify reporting the person to a regulator, but it still leaves a lot to be desired. I think that's the area we tend to focus on in terms of trying to work with the regulator and with professional immigration consultant groups to raise the standard of practice. In my mind—and I'm only speaking from the board's perspective, obviously—there's a big distinction between the litigation work we see and the kind of work that involves assisting a client to fill in applications. Lawyers go through three years of law school, through an articling period. They have to be called to the bar. It's a more rigorous regime than the one that's expected of immigration consultants. Certainly when it comes to the question of litigation, there is considerable scope for improvement when it comes to immigration consultants acting as litigators. Generally speaking, how many complaints would there be about consultants appearing before the board as to their competency, either from members of the public or from the board members? I can't give you a precise number there. What I can tell you is that it is a concern on a regular basis and it's really only the most egregious cases that are brought forward to the regulator. 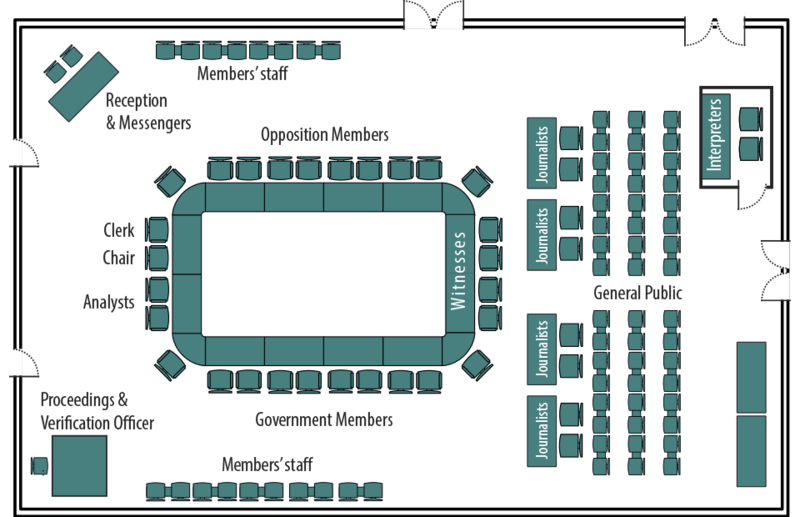 For example, board members use a kind of compensatory mechanism in a hearing room. If they're dealing with a consultant who is not able to present the client's case, they get drawn into the arena and they have to start eliciting the evidence. It's not something a lot of members like to do, but sometimes they feel they have to do that in order for the case to go ahead that day and for there not to be a miscarriage of justice. Do you have recommendations to this committee as to how that situation can be improved? It's not so much the lawyer, as I expect the lawyer goes to the law society. I'm thinking of the consultant. I can't believe that a board member doesn't say, “Who in the heck is this clown?” I can't believe that doesn't happen. I think I've heard words of that nature before. There are a number of self-regulated professions that have a graduated licence. For example, with the Law Society of Upper Canada, paralegals and lawyers are all members of the law society, but paralegals can only do certain things. In other words, there's a restriction on their scope of practice. My understanding is that's true of the nursing profession. It's true of some other regulated professions. That may be an area where it might be worth making a distinction between being allowed to litigate and being allowed to do the other, what I would call, solicitor work that immigration consultants do. Now it's easy for me to say that. I'm not a regulator and I don't know the ins and outs of regulation. However, from the receiving end, that would make a difference in terms of the quality of practice before the IRB. My question is to Mr. Orr from IRCC. We've had previous studies in 1993, 2005, and 2008 on this same issue. It seemed to indicate that the severity of the issue is big. It seems that, despite previous studies and legislation change, we're still inadequate and unable to provide a framework for legislating immigration consultants and paralegals. Is that what you're finding? It seems like the problem is still there despite regulating the industry, having enforcement, and having a 95% conviction rate of those who are charged. We've made huge progress. The changes in 2011 and 2015, and setting up the ICCRC, were a valuable and major step in the right direction. There are issues and there continue to be issues. We're on the right track, and we have to strengthen some of the tools that are in place at present. I don't think it's fair to say we are where we were in the previous studies because there has been significant progress made. As we've indicated, there are opportunities for us to go a bit further in some of these areas. Is there any way to protect the applicants or the poor victims? The problem we see, as you've heard from my colleague in the opposition, Ms. Dzerowicz, is that applicants seeks to come to Canada and apply under a program. This could be some sort of worker program, temporary foreign worker, or otherwise. The applicants seek a Canadian agent who does things, as Mr. Saroya said, and wants money first, then money later, usually in cash. They get themselves caught in a catch-22, where if they report the person, either the employer or the agent doing this, their own immigration is in jeopardy. The only option is to carry on with the system. I'm finding that a complaint mechanism isn't working because as the whole panel has said, it usually only happens if they get rejected. If the applicants are rejected, they feel comfortable enough to report it. While they're in the system or when they're being abused, they're not reporting any of this. Perhaps I can ask Ms. Lutfallah, are there any other mechanisms you see that might help enforcement and those who wish to complain? Right now, as IRCC representatives have pointed out, we do undertake a number of campaigns to make them aware of the services of ICCRC consultants and the implications. Other than criminal investigations, that's the only mechanism we have for enforcement. Can I just add, to be absolutely clear, someone making a complaint is not going to lose out on their immigration status as a result of that fact. They should be able to feel at ease in that respect in terms of making the complaint. I understand it's very complex, but their immigration status is not going to be affected by making a complaint. Many times, Mr. Orr, it does. What happens is that the person becomes complicit to the deal. They've paid to get the job letter, for example, if it's for employment, or they've agreed to say they're paying higher and then getting reimbursed or something along those lines. They fear if they tell the truth, they're in breach of their agreement; therefore, they're in breach of the immigration rules. Very quickly, because we're running out of time. When it comes to workers, you used the example of workers, specifically. There are other mechanisms that workers can successfully use, and we have used them in co-operation with the provinces and the territories around worker legislation. Seasonal agricultural workers is a great example where we have uncovered fraud, abuse of individuals, and have successfully removed those individuals and kept them employed at another farm, for example. We try and leverage as many systems, municipal, provincial, as well as federal, that we can to try to bring, let's call it, consumer protection to those individuals. Thank you very much to all of you. You've been very helpful in starting us off with this study. Mr. Cashaback and Mr. Brandt, we didn't spend too much time with you, but next time maybe.